Cascina Graziosa is in the heart of the Triassic oil play area in the western Po Valley. The permit surrounds Villafortuna-Trecate Field (cumulative production of 204 MMBO and 96 BCFG) on 3 sides. ENI acquired 3D seismic over Villafortuna-Trecate and surrounding areas. The 3d over the Cascina Graziosa (352 km2 or 87,000 acres) is available for purchase from ENI. AleAnna is evaluating data. 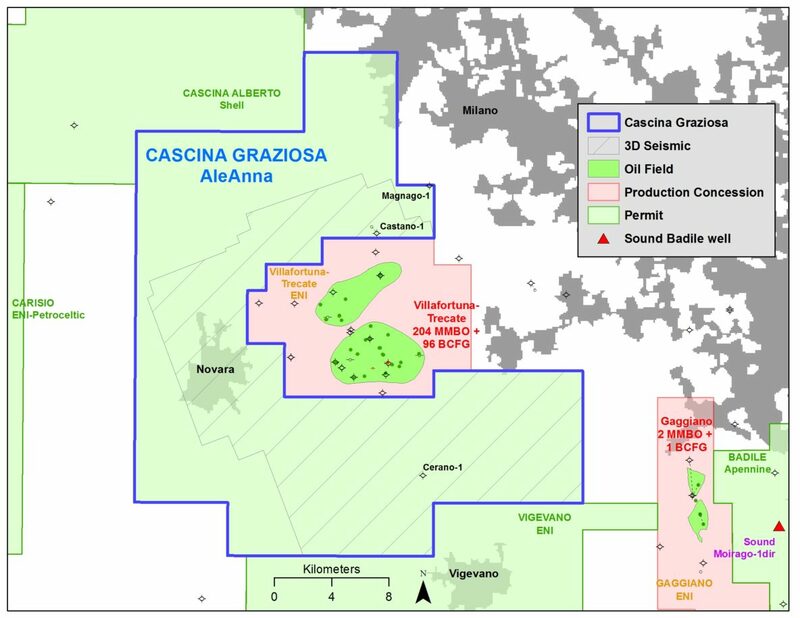 ENI mapped 4 Triassic leads that extend onto Cascina Graziosa, and a Middle Miocene gas sand prospect in the south portion of Cascina Graziosa.